Video review the SMARTY Trend head unit for Mazda CX5. Fits to car configurations BEFORE RESTYLE! It is not suitable for cars beginning from the 2015 year of release - after restyling. In car configurations with BOSE system, the speakers’ regulation by FRONT and BACK is not supported. The LEFT and RIGHT regulation are keeping. This is a feature of the device and specific of factory amplifier support. The factory USB is not supporting. Voice control is NOT supporting. Android menu navigation will not work. All buttons around the puck, tilting and pressing it will work. Video review the SMARTY Trend head unit for Mazda CX 5. 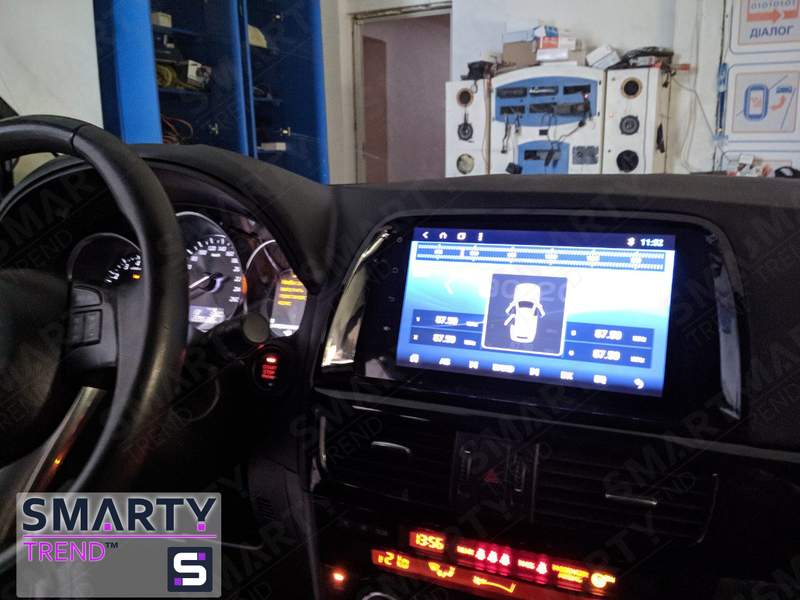 SMARTY Trend head unit overview for Mazda CX 5.